Home > Quizzes & Questionnaires > Quiz: Are You Managing Business Risk Effectively? Work through this quiz about managing risk and note down your responses to the questions. Once you’ve done this, you'll have the chance to convert your answers into points. 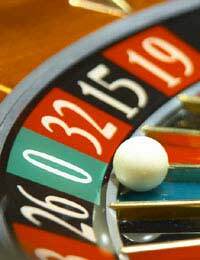 Your final score will show how effectively you are managing risk in your organisation. 1. Do you have a risk register listing the risks you have identified? 2. How is your business-critical computer data backed up? 3. How do you manage key skills in your organisation? 5. How do you prioritise the risks faced by your business? 6. Which of the following best represents your view of risk management? 7. Who is involved in your risk management process? 8. Do you do Business Continuity Planning (BCP)? 0–4 You probably already realise that your management of risk is not adequate. Although each individual risk faced by your business may have a low probability of occurring, there are lots of them. When taken as a group, you can be sure that your business will suffer adverse effects from events that you could have foreseen and counteracted. Ask your employer for training in risk management and seek to change the organisational culture if risk management is not seen as a high priority. 5–11 You understand how to manage risk, and take active steps to do so. However, there is more you could do. This questionnaire should have given you some pointers about things you could do differently to better manage the risks faced by your organisation. Training or mentoring may help you to fill in the gaps, and help you to protect your project and the organisation as a whole against potentially expensive events. 12–16 Well done! You have scored very highly, indicating that you are already managing risk well. Although you are following the steps necessary for risk management, you must also ensure that you spend sufficient time on these tasks and go into them in enough detail to really get the most out of the process. Make sure everyone around you understands the importance of managing risks, reducing the likelihood of things being missed. You might find it useful to trade critiques of risk management procedures and documents with one of your peers.